Microsoft plays catch-up by rolling out its Windows Phone 7 operating system for smart phones that aims to retake market share lost to Apple, RIM, Nokia and Google. Microsoft is attempting to rebuild the share it once had with its windows mobile operating system that was at one point seen as the smartphone market leader before first being hit by RIMs Blackberry, then the highly successful Apple iphone with the final nail in the coffin for windows mobile delivered by Google's Android. 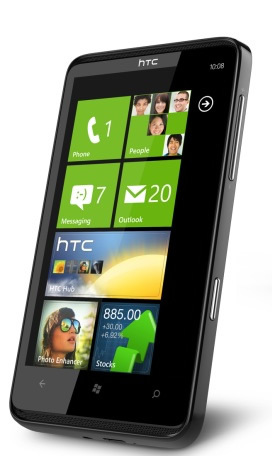 Having been a windows mobile user for some 8 years now (released in 2000), I have witnessed the rise and fall of Microsoft's share of the smart phone market, where clearly five years ago windows mobile was the first option for desktop windows users in opting for smart phones to continue their relatively open platform experience that the windows operating system afforded them with many thousands of software titles available that enabled users to tweak the system to exactly the state that they required. However windows mobile had problems right form the start as illustrated by Blackberry which offered a much easier to use communication tool over a bloated Windows mobile O/S that failed to improve in response to what the competition offered that resulted in slow interface response rates on many of the devices that purported to run windows mobile. Then along came Apple with its slick and powerful one stop presentation that focused on ease of use to the detriment of customisation options (apparently which most smart phone users seek) with the App Store making additional software installations a breeze which had been one of the strengths of windows mobile. There was still a chance for Microsoft to fight back against Apples highly restrictive platform by releasing a less bloated, better performing and more functional interface smart phone operating system during 2007, instead Microsoft released Windows mobile 6.0 which was flop which was followed by very little in terms of upgrades during the past 3 years! Which left the door open for Google to step in and fill the huge gap with the highly customisable Android operating system towards which MOST windows mobile users have been converting, thus decimating Microsoft's smart phone market share form over 20% 3 years ago to about 6% today. However, as it the case with EVERY new operating system released by Microsoft during the past 20 years, the initial release can be expected to be buggy, therefore potential coverts should wait for at least a year for the inevitable bugs and security holes to be ironed out. In the meantime, I will further investigate whether I should look to convert from my now ageing windows mobile device to either Windows 7 or Google's Android as Microsoft has always been big on hype in the past whilst failing to deliver any real innovation against which the competition has already been offering for several years, but at least now there is an alternative option! A range of powerful devices (screen sizes) that have enough memory and processing power to get the job done. A wide range of third party software upgraded from windows mobile 6. Microsoft's business strategy has always been to see what the market comes upwith and then assimilate it because they had a monopoly in personal computing and business purchases. They are the 'borg' of the software world. The internet browser should have put them out of business by providing the 'new desktop' on which to write applications; the browser could then be run on any O/S. But MS just about found out about Netsape in time and crushed it by giving away I.E., and then bundling it into the O/S so the courts couldn't make them separate the browser from the O/S. They got away with their dodgy smartphone offerings because it was very niche and not very powerful, until now. The Android /HTC is amazing and doesnt have the premium pricing or lock in of Apple (the next Microsoft whose only chance of survival depends on them exploiting the cloud). They might have some impact on smartphones if they get the cloud component right so that you happily exchange files back and forth be it to your pc or the real cloud, but they won't displace Apple users. Nadeem, check this functionality out as part of your list. BTW, the HTC Z and HD are superb. Even the basic 1Ghz Desire is awesome (cost me only £5/month with T-mobile on a cheap contract). The pace of apple and android apps development is frightening, but it would be premature to say that battle is over. Linux is not as well optimized for power consumption and for real-time reaction to user input. Windows 7 is entirely re-written OS from the ground up. Will be interesting to see how it performs. iPhone is probably the best performing for now, but the market longevity is questionable given the mentality of censoring what people can install. Personally I am waiting. If I had to have something now, I would probably endure an Android, as it is most open. But if Windows 7 is better and just as open (not the OS but the apps I can run), it might get the nod. Price and features matter also, so depends which device you can get in your locale. I switched to iPhone and Mac's a while back and thank god I did, literally light years ahead of Mr Gates now defunct work imo, aligning his company quite nicely with his retirement.